The evidence against that Clinton cabal that enjoyed the unrighteous embrace of the DNC, FBI and the MSM throughout the 2016 election cycle continues to SCREAM- "GUILTY!!" -but the "Kings of the earth" and "the rulers" (from bloodlines dating back centuries, where fortunes run not in the billions but the trillions) who function behind the scenes and above the Constitution using the Deep, Deep State as a tool for their own depraved agenda continue to whisper, "We shall do as we please, we own you". They really need to heed Psalm 2 and "Kiss the Son, lest he be angry". There was personal blowback. Personal blowback to me, to my family, to my office,” McCullough III told Fox News. 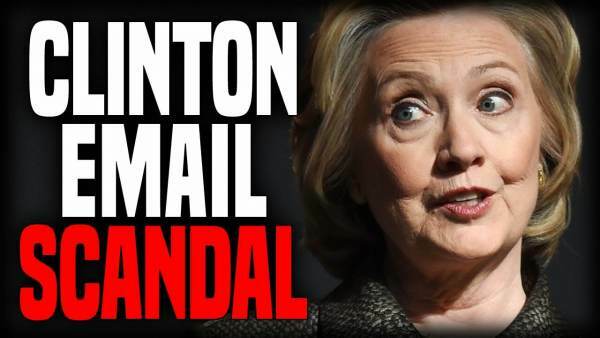 The damning report comes amid Judicial Watch publishing additional evidence suggesting the FBI’s investigation into the Clinton email scandal was marred by conflicts of interest. On October 24, 2016, a memo was sent FBI leadership concerning the Wall Street Journal article discussing campaign activities of Director McCabe’s wife with an attachment titled “Overview of Deputy Director McCabe’s Recusal Related To Dr. McCabe’s Campaign for Political Office.” In 2016, then House Government Oversight Committee Chairman Jason Chaffetz sent a letter to McCabe raising the posibility that a conflict of interest existed between his investigation of Clinton’s emails and Hillary headlining a Virginia fundraiser for his wife on June 26, 2015.